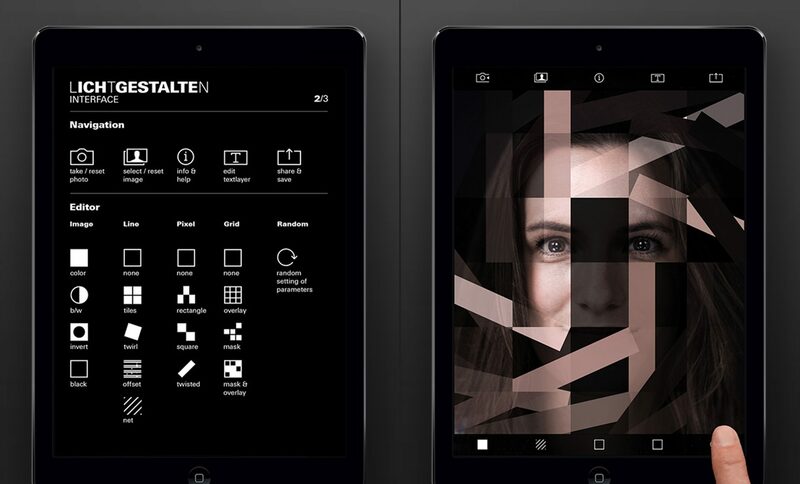 "Lichtgestalten" is a visual app for combining a personal portrait with color, typography and stylistic elements based on a formal principle. 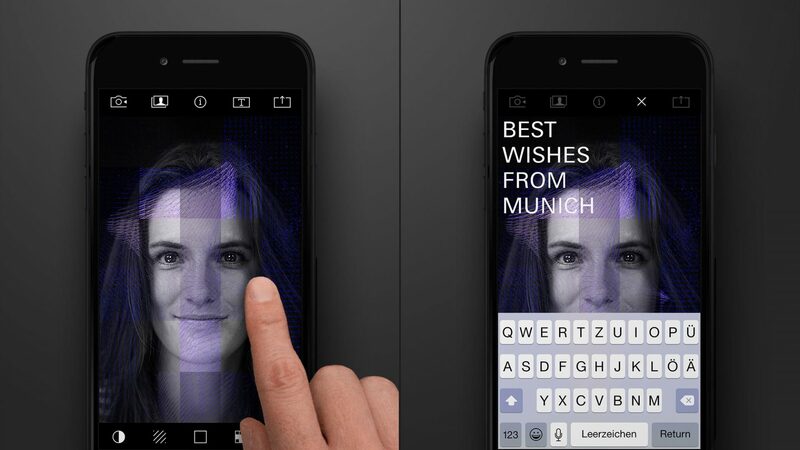 Based on the interactive installation “Lichtgestalten” — created for the 30 years anniversary of KMS Team — the same entitled app offers countless design possibilities for both, the iOS and Android platform. Now, not only visitors of the local exhibition in Museum Villa Stuck but everybody can combine his personal portrait image with color scheme, typography, controlled perforation, extrusion or molding pattern and create designs, that are each unique. The formal rules and the design process itself follow the same principles as developed for the physical installation. 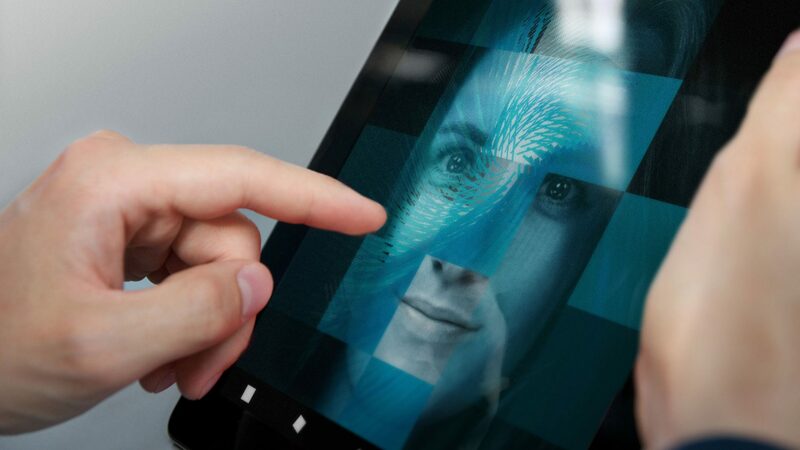 After designing a motif on the smartphone or tablet, the resulting artwork can be saved on the mobile device or shared online. 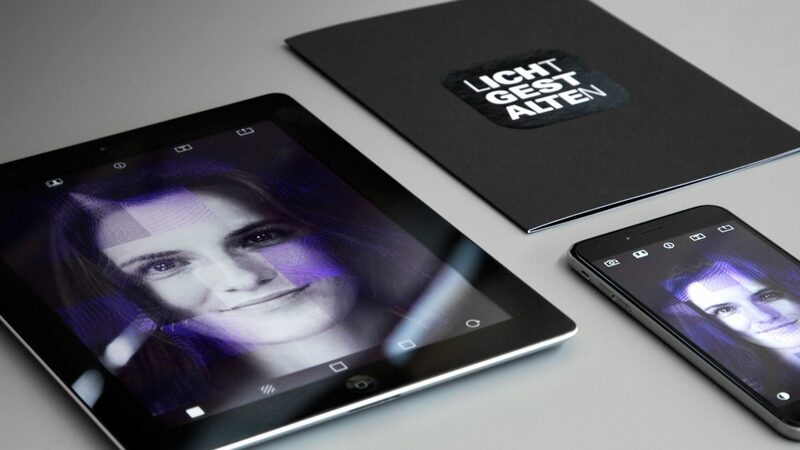 The “Lichtgestalten” app is available for iOS and Android.